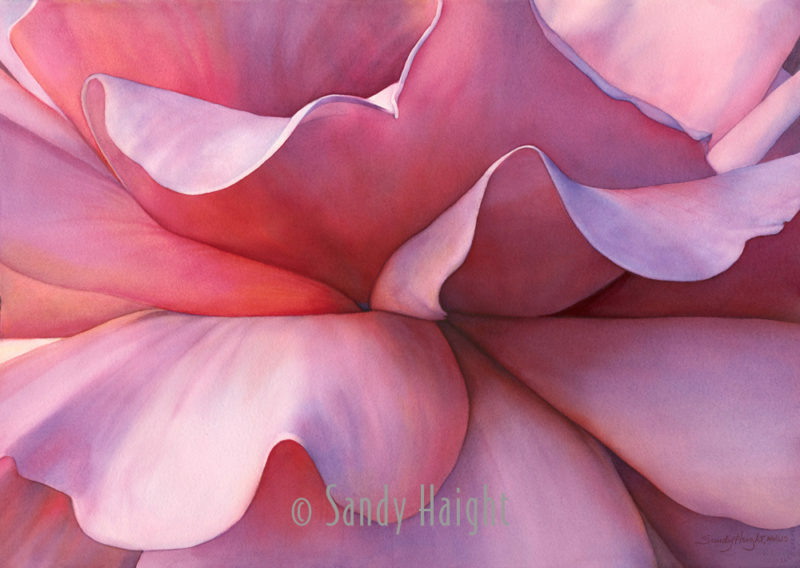 Undulation by Sandy Haight. Watercolor on 300# Arches Paper. 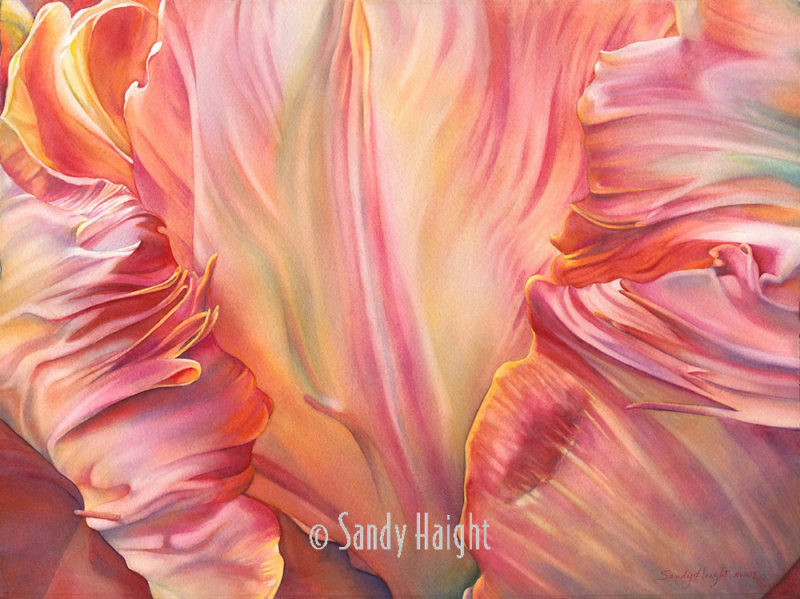 Image size: 30″ x 22″. Frame size: 39.5″ x 31.5″. After a very busy summer of selling my Seattle house of 20 years and moving to Bainbridge Island, a short ferry ride from downtown Seattle, I’m getting back to my pursuits as an artist. 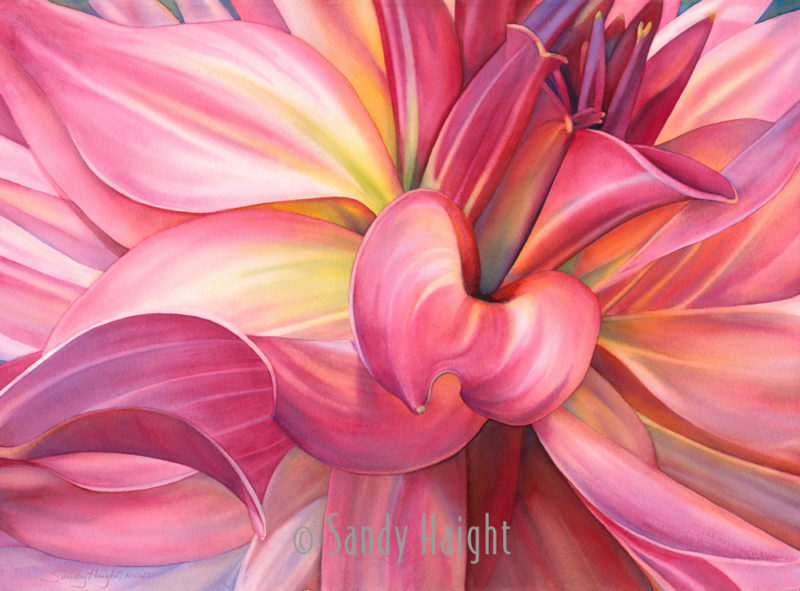 I’ll be starting new work soon out of my big dream studio that made the move irresistible! 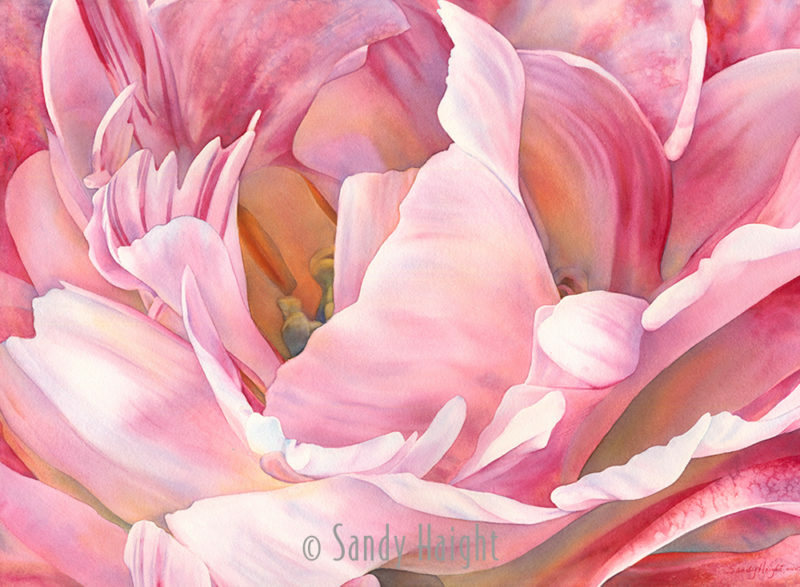 In the meantime my “Persistence in Pink” Floralscapes are finding new homes and new exhibitions after their introduction in Anacortes, WA last spring. 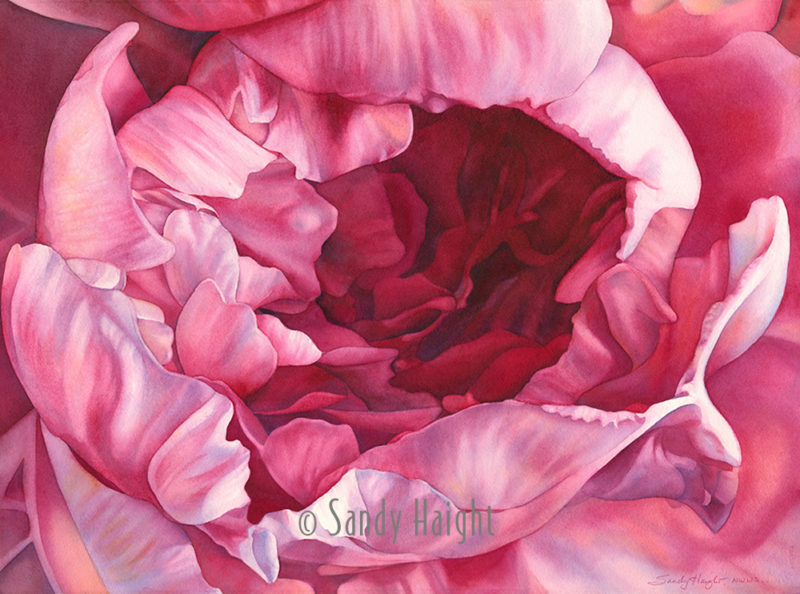 This close up view of wavering rose petals cascading toward us like ocean waves was juried into the Northwest Watercolor Society Waterworks show now open at Tsuga Fine Art Gallery in Bothell, WA. I was thrilled when my painting was also selected, among the 50 on display, for the Tsuga Fine Art Facebook Page banner for the month and on their website exhibition page! Iain Stewart is the juror for this show that will be on display through November 22. Come join me at the reception on Thursday Oct 26 from 6pm -8pm. They always have a good spread of treats and wine to go with the eye candy and awards.